Walt Disney Animation Studios is releasing a brand new animated movie featuring Kakamora, a demi god, a rooster, a pig, crazy monsters and a beautiful Hawaiian girl named Moana. In this story, a girl with a wonderful power must embark on a quest to not only save her people but discover her own way, which may provide an answer to why the greatest sailors in the world stopped their travels across the Pacific for a millennium. “Three thousand years ago, the greatest sailors in the world voyaged across the vast Pacific, discovering the many islands of Oceania. But then, for a millennium, their voyages stopped – and no one knows why. 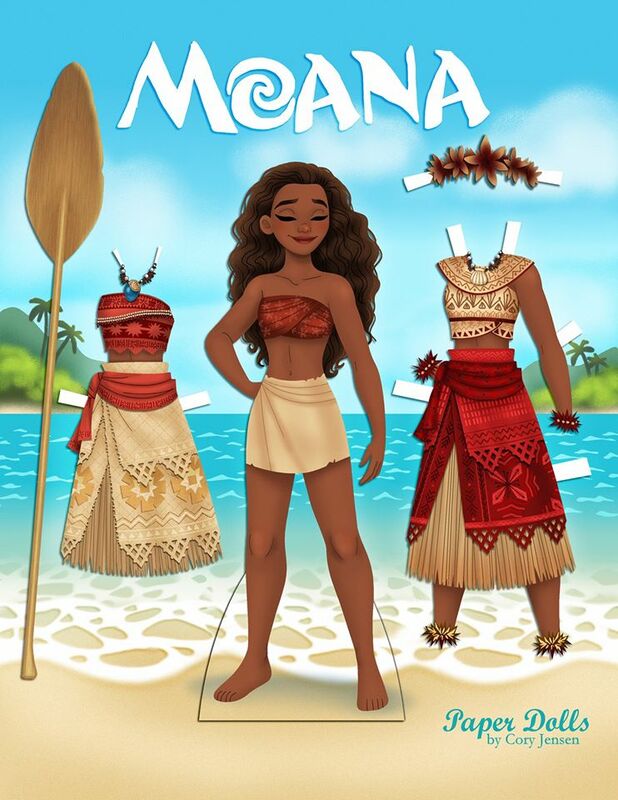 Thanks to Paper Dolls by Cory, we excited fans get one of our first printable activities featuring Moana! This paper doll features two outfits for her: one outfit is cannon as seen in the trailers and merchandise while the other is based on a concept art (maybe). As usual, Cory did a wonderful job capturing the new Disney Character Moana. I hope Maui is next! To get this free printable click the image below, right click and save the image to your computer. Then Print and Create!